We live in the age of the customer. Customers know more, and expect more. Fast forward seven short years from now, and there’s little doubt the bar will be set higher and new priorities will have emerged for business-to-business companies. So, who wins in the year 2020? Arguably, it’s the most forward-thinking companies – those that consciously and deliberately work at anticipating the future needs and create an experience that customers’ value. This is the driving premise behind Customers 2020 – an insightful, thought-provoking study designed to reveal the customer experience industry of the future. The report reflects Walker’s view of the future based on input from nearly 300 customer experience professionals from large, multinational B-to-B organizations, representing a range of industries. Customer expectations in 2020: Customer expectations in the future are the outcome of movements that have been underway for decades. Changes such as the explosion of digital, the empowered customer, and the acceleration of innovation are having a profound impact on customer expectations. 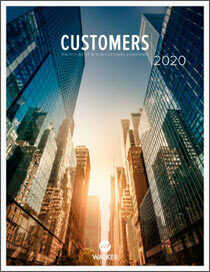 The customer of 2020 will be more informed and in charge of the experience they receive. They will expect companies to know their individual needs and personalize the experience. Immediate resolution will not be fast enough as customers will expect companies to proactively address their current and future needs. Companies must adapt or fail: As customer expectations shift, companies are forced to adapt. Enlightened by what the future has in store, many companies are already laying the foundation for 2020. Others are stuck in a historical view of customer experience management and will fall behind if they don’t react soon. To be relevant in 2020, companies must focus on leveraging big data to create a single source of truth and making customer intelligence accessible throughout the enterprise. Companies must consider “insight generation” as a sales enablement function and emphasize proactive and personalized customer support to effectively grow and retain customers. Implications for Customer Experience Professionals: The B-to-B companies that will win are beginning to prepare now by recognizing the shift that’s taking place, aligning the right resources, and focusing on the right metrics. Enlightened companies must view the customer experience as a strategic, C-level initiative. And, in the future, the responsibility of a “chief customer champion” will become more common, serving one purpose – to create an unrelenting focus on the customer throughout the enterprise. To support this strategic initiative, new skills will be required and a holistic customer metric will emerge as a leading indicator of growth. As the pace of innovation continues to accelerate, companies will put more emphasis on the experiences they deliver to customers to create a competitive advantage. This report discusses how B-to-B companies must adapt and evolve their customer experience initiative to meet the changing expectations of customers.